The past fortnight has offered some respite for a club currently sitting 22nd in the Blue Square Premier. Ebbsfleet recorded an important 1-0 away win at Tamworth, the club’s third clean sheet in a row. The Fleet also had the welcome distraction of having their name in the hat for the FA Cup First Round Draw. A 1-0 win against Woking in the Fourth Qualifying Round saw Ebbsfleet into the first round proper for the second time in their short history. And while the tricky away draw and 337 mile trip to Carlisle may stretch the purse strings of the United faithful, fans will take much solace in some other good news that was revealed recently. The BBC’s ‘Price of Football Survey’ found Ebbsfleet to be the cheapest day out in the Blue Square Premier at £15.50 for a ticket, a programme, a pie and a cup of tea; a highly reasonable day’s entertainment. Five years ago the club underwent a name change from Gravesend & Northfleet to Ebbsfleet United. In that time, they have laid claim to some relatively longstanding traditions. The first constant has been their manager, whose tenure actually predates the creation of the club to their previous incarnation. 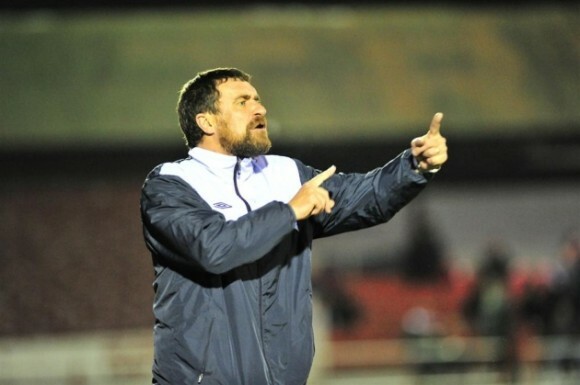 Liam Daish’s seven years in charge would be impressive at any level of the game but the club, and supporters, have stuck by him during some tough and dramatically changing times. Daish’s contribution to the Fleet was honoured this summer as the Stonebridge Road Stand was renamed after him. Perhaps more significantly though, Ebbsfleet have entered their fifth year under the ownership of the MyFootballClub scheme (MyFC). It was a project that really put Ebbsfleet on the map; for the first time, people would find another association for the place synonymous with the Eurostar, a sponsor that once adorned their shirts. MyFC was an instant hit – over 50,000 registered their interest in its early days, while 32,000 paid the maximum membership. It was deemed a new revelation in English fan power; supporters were having a say in the club’s future on a scale never before achieved. As an online community, the supporters would be involved in every aspect of the day-to-day running of Ebbsfleet United Football Club. It really was groundbreaking. 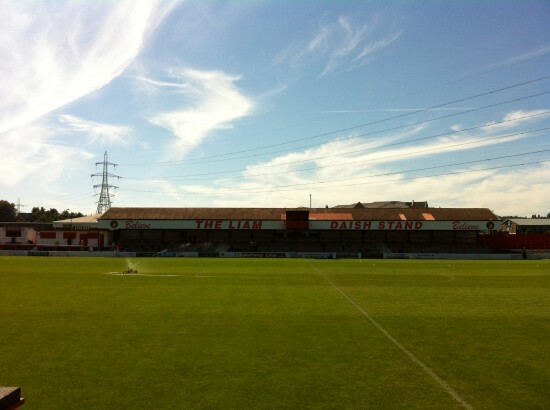 MyFC essentially became the ‘owner’ of Ebbsfleet. They set and approve the budget, have the power to approve or reject transfers with fees included and set prices for tickets, merchandise and lots else. All these decisions are discussed on online forums, and circulated through weekly emails, blogs and articles. MyFC also play a key role in the financial backing of the club. This season, they have partnered with the Fleet Club to help raise money to cover and exceed the playing budget. All this enables Daish to act as competitively as possible in the transfer market. The basis is simple but very novel. However, like many bright new ideas, they often fade after a few years. Membership numbers fell drastically each season as interest, and in turn supporters’ financial backing for the club, dried up. Ebbsfleet also had mixed success on the pitch; while there was the memorable 2008 FA Trophy victory at Wembley, two season later the club were relegated to the Blue Square South. Although Ebbsfleet are now back in the Conference Premier, they have come to somewhat of a crossroads. MyFC has had to reassess its role with the running of the club and new challenges await for the future of Ebbsfleet. 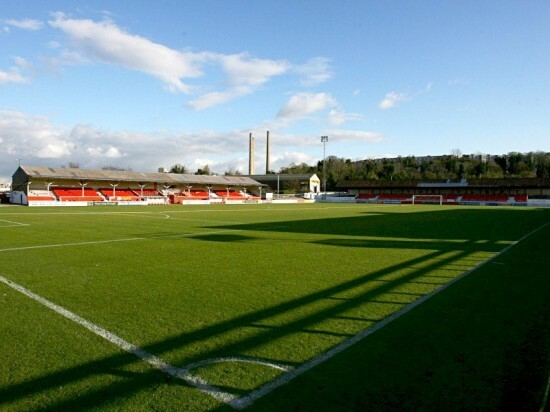 It was clearly a popular idea that resonated with many football fans – but interest was always bound to wane because for the majority of owners, Ebbsfleet was never their club, it was simply a vehicle for disillusioned supporters to vent their grievances and feel like they were making a difference. However, when the results didn’t match up and Ebbsfleet were relegated, membership plummeted. That 2009/10 season was a difficult period for MyFC. With a significantly reduced membership, the group had to decide how best to move forward in the club’s interests whilst also satisfying the wishes of their online community. The failed ‘Pick the Team’ proposal was a large bone of contention and threatened to cause tension between MyFC and Daish. The idea was for members to vote on Ebbsfleet’s starting XI and for many of the original membership, this was a huge selling point of getting involved in MyFC. What remains is a core contingent of original Ebbsfleet fans and a small group of members who have stuck through with MyFC’s ideology. Yet speaking to this group reveals that Ebbsfleet are in a good place these days and that MyFC still has the potential to be a successful venture. So interesting is the club’s recent history that when The False Nine visited Stonebridge Road to watch Ebbsfleet take on Mansfield Town, we were not the only media presence. A German film crew was in town, filming a documentary on the club and MyFC that is to be aired on national television. It seems the unique tale of MyFC is still of global interest. The group’s Society Board is made up of seven members and one of them is German (Dario Szibbun). Ebbsfleet resonate well in Germany, where the ’50+1′ rule prevents clubs being owned by any one powerful individual. For example, Bayern Munich are 82% owned by their supporters. In a complete contrast to the English setup, the football experience in Germany is totally geared to the fans; standing areas are permitted and popular, while ticket prices remain affordable. It’s been a whirlwind 5 years for everyone involved in Ebbsfleet United and MyFC. For one thing, their profile has risen immensely, and Sinack’s hopes that the club can “reach out as far as Asia and South America” seem very plausible. That a small non-league club from Kent could ever achieve these levels of exposure would have been unimaginable not so long ago. Ebbsfleet are also a positive representation of football’s relationship with the Internet. The bizarre tale of ‘Duncan Jenkins’ recently revealed the dark side to this connection in a world where transfer rumours are generated with the click of a mouse. 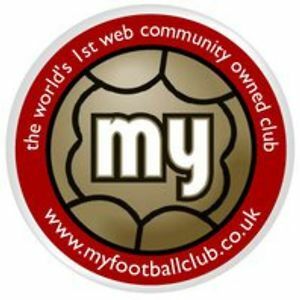 MyFC use the Web to their advantage; to unite an online community and run a football club. On the pitch, this could be another tough year for Ebbsfleet. Their recent form must continue if they are to get out of the relegation zone. However, this weekend all eyes will be on Carlisle as Ebbsfleet hope to go one better than two years ago, hoping that a little ‘magic of the Cup’ can rub off on them. Carlisle have already conceded 27 goals in League One this year. Ebbsfleet will be looking to add that tally. Yet behind the scenes, MyFC have consolidated their role with the club, and this is clearly positive progress for both parties. In the likes of Mike Sinack, MyFC have enthusiastic and dedicated members who can see what is best for the club both in the short and long-term. This entry was posted in Analysis and opinion and tagged bayern munich, bbc, blue square, blue square premier, bundesliga, carlisle, duncan jenkins, ebbsfleet, fa cup, fan power, football club ownership, liam daish, liam daish stand, mansfield town, mike spinack, myfc, myfootballclub, non-league, premier league, price of football, stonebridge road, survey, tamworth, the magic of the cup, woking by Hugo Greenhalgh. Bookmark the permalink.